Why is this guide not ported to Ubuntu 18.04? At my latest tests the package graphite-web was broken and Apache run into Python errors. I will update the tutorial as soon as I know a (non docker based!) workaround for this issues. In this tutorial I'm going to use MySQL as database for Graphite and Whisper files as database for the performance data. As web server I'm using Apache. If you like to mess around with things, you can also use Nginx. 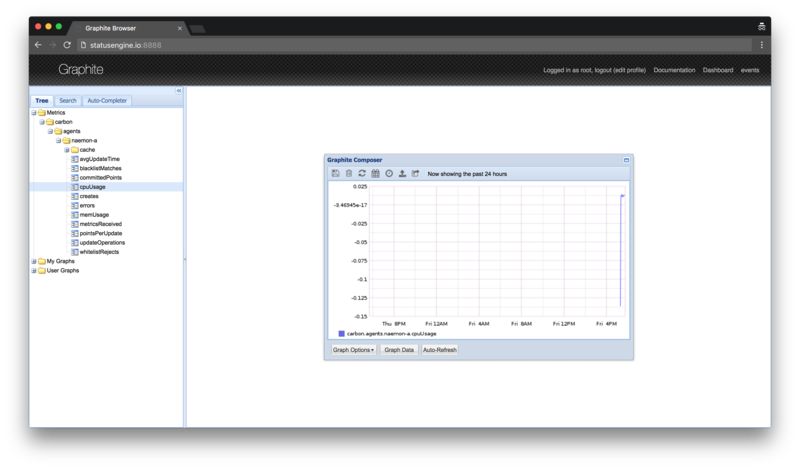 As already mentioned, I'm using MySQL to store Graphite metadata. Now edit the following values in the file /etc/graphite/local_settings.py. The SECRET_KEY is use as salt, whenever graphite is going to hash something. Set something unique as value. For example the output of the command uuidgen or so. Set the Timezone of your monitoring nodes. Now open the file /etc/default/graphite-carbon and change the value to true to enable carbon cache on boot. Copy the following content to the file /etc/carbon/storage-schemas.conf to store all values prefixed with statusengine for 90 days. If you change these values later, you need to delete the Whisper files. For more information please go to the Carbon documentation. 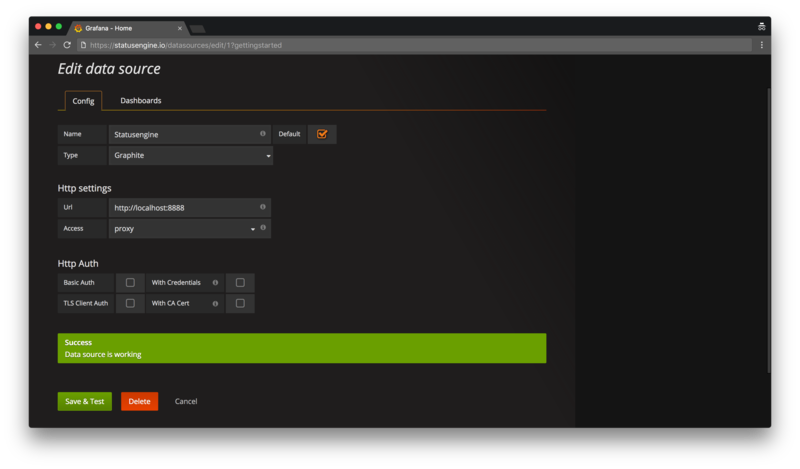 Now you can launch your Graphite instance. In this case, we don't want to use the Graphite Web. We just need the TCP API and the HTTP API provided by Graphite. Notice: We added an automatically redirect from http to https using self-signed certificates. 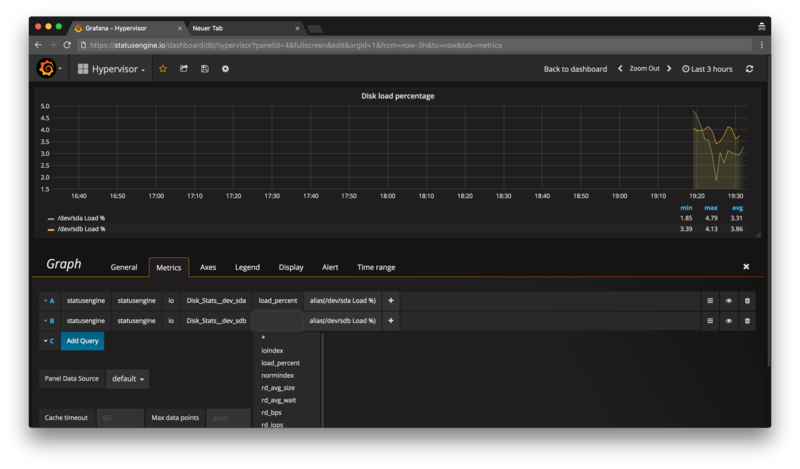 Now you should able to browse to the Grafana Frontend via https://your-address. The Grafana configuration is located at /etc/grafana/grafana.ini. I would recommend you to take a look at this file. Statusengine Worker use the "plaintext protocol", an TCP connection to save metrics to Graphite. Remember to change the IP Address! 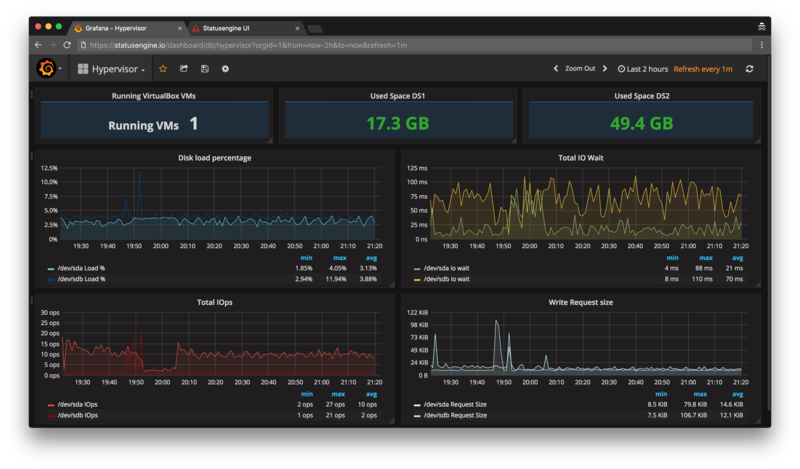 Now you can create the first Graph in Grafana. 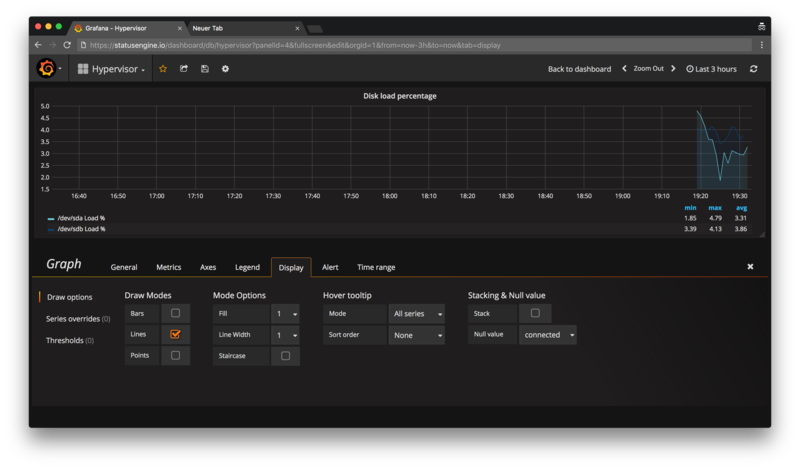 Thanks to the Grafana UI this is super easy. In the last step you need to enable Graphite as Performance Data Backend for Statusengine Ui. Open the file /usr/share/statusengine-ui/etc/config.yml and change the following values. 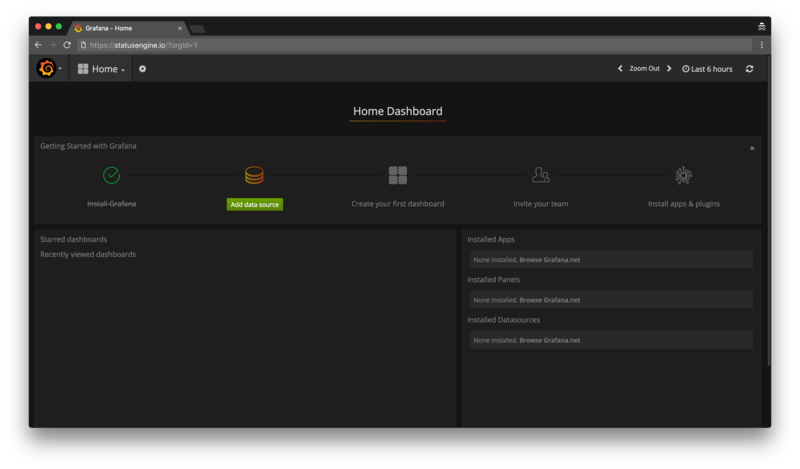 I recommend you to play around with Grafana and get in touch if you are new to it. 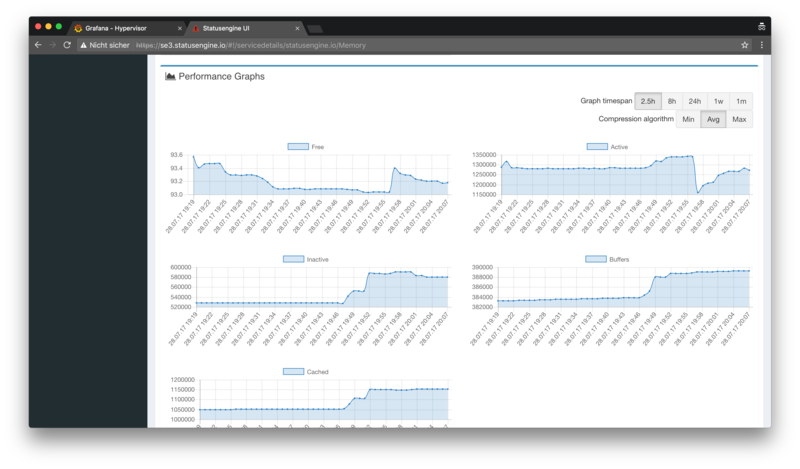 Graphite uses Carbon/Whisper to store the performance data.